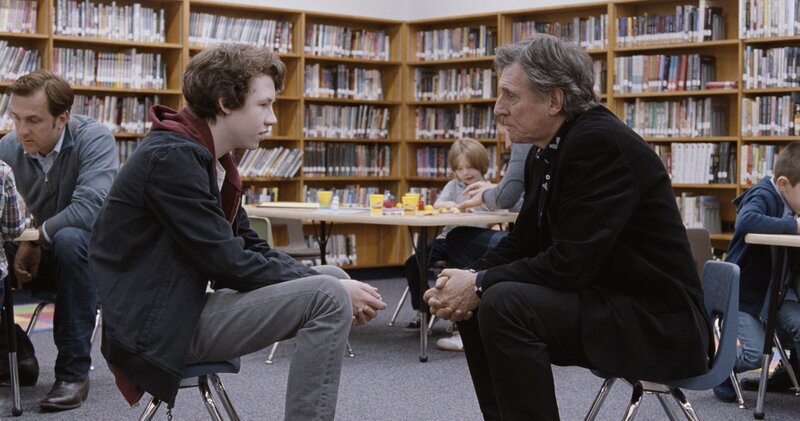 Louder Than Bombs poses a lot of dinner table questions relating to honesty. What, why, and how something happened. And for all of its prodding, the film’s narrative style always remains in question. I’d liken it to a familiar family drama told with an avant-garde mindset. Simply, the movie tries – too obviously – to present itself as something different. Sometimes it succeeds, but the ironic title becomes counter-intuitive when the story is carefully dissected. 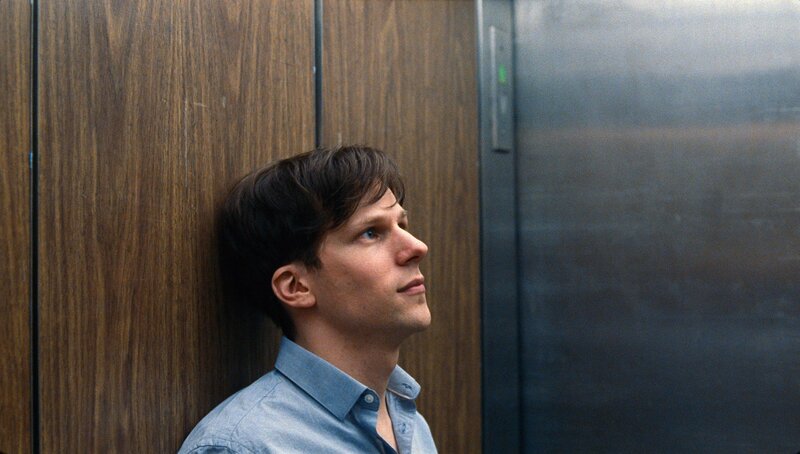 Louder Than Bombs has been constructed by a thoughtful architect who presents the finished product before it has been furnished with any sign of life. The complex walkways have no people traveling them to and fro. Because the practice of filmmaking encapsulates so many different artistic mediums into one joint venture, there are a myriad of ways to convey a thematic message. Louder Than Bombs chooses to give us scenes which are meant to be referential, and at the same time, inferred. The film opens with Jonah (Jesse Eisenberg) and his wife Amy (Megan Ketch) welcoming their newborn. There’s supposed to be a reasoning behind this choice too. I couldn’t find one though, and while much of the film works remarkably well in fractions, the disjointed pieces never become a cohesive collective. It shuffles with staggered feet from start to finish, always dragging a toe behind when parts try so desperately to move forward. Here’s another movie where multiple men mourn the loss of a shared woman, trying to spark machismo growth through lamentation. Isabelle (Isabelle Huppert) was a renowned war photographer, willing to get closer to the action than her colleagues. Her stellar career was brought to a swerving halt following a fatal car accident. Now, two years later, the remains of Isabelle’s immediate family come together for a lifetime achievement recognition. Husband and widower Gene (Gabriel Byrne) has his plate full. He desperately tries to connect to his youngest son Conrad (Devin Druid), an introverted loner. Welcomes Jonah back after time away at school and starting his own family. Gene also has a relationship with one of his coworkers and Conrad’s teacher (Amy Ryan). This is a small, concealed, somewhat convenient depiction of upper middle class America, speaking honest truths so quietly that they barely ring in an audible decibel range. Even though I’d argue the film itself is a mixed bag of honest communication issues and regretfully derivative build-ups, director Joachim Trier has made the movie he set out to make. That doesn’t mean it’s good though. 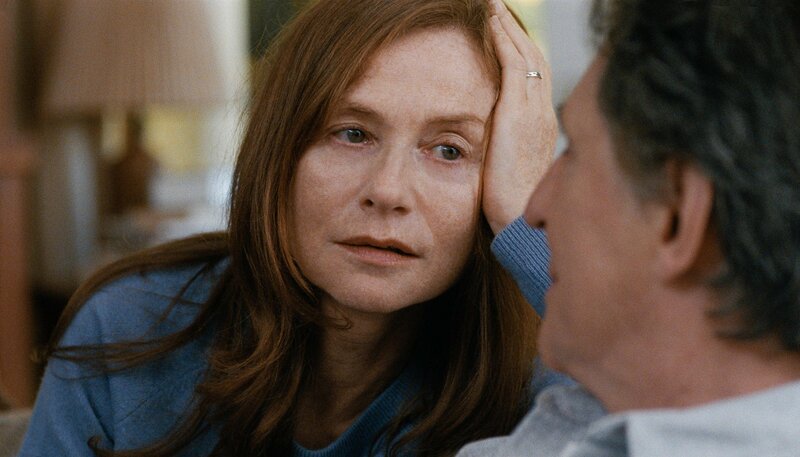 In fact, Louder Than Bombs meanders around without an emotional core because that centrifuge is located in a character who we do not know. The church is built upon Isabelle’s rock. A mother and a wife and a friend. Then Trier opens the door for a sermon, inviting us to stare at Isabelle while she looks directly at the screen, pitched against a black backdrop. It’s a shot eerily similar to one from this year’s Krisha, except in that film we actually knew the woman and could backlog the emotions registered in the performer’s face. Paling in comparison, we see Isabelle all vacant and deserted and numb because we’re told so beforehand. 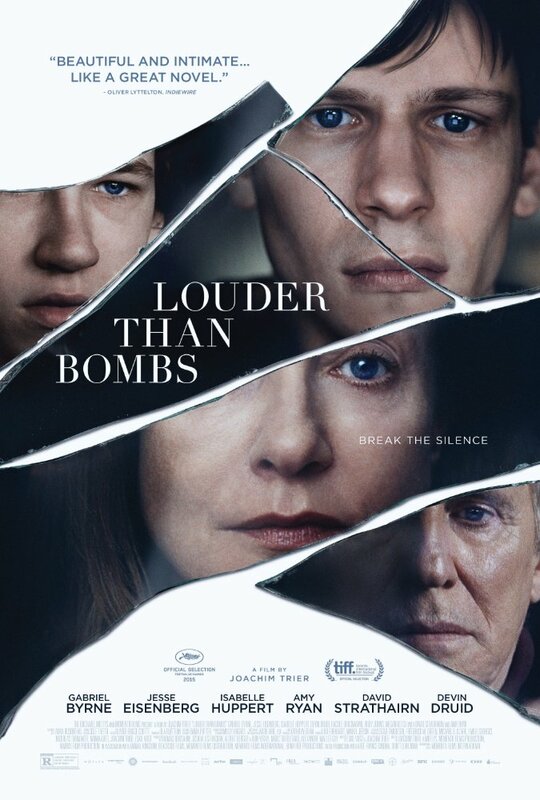 Louder Than Bombs is loosely tied together with technical precision, its busted bones set for the healing process it so earnestly desires without wearing a splint or a cast. This is a great review and your analysis is thoughtful. I found it engaging in the way that Norwegian films can be. Would love you to drop in for a read of my version; I’m now a follower too.